Hecht gave the talk to coincide with two simultaneous exhibitions about Industrial Facility at the museum last year. Top: Two Timer, for Established & Sons. Image courtesy of Industrial Facility. Above: Coffee Maker, for Muji. Image courtesy of Industrial Facility. Some Recent Projects, curated by Gemma Curtain of the Design Museum, was the first exhibition of Industrial Facility's work within the UK. Above: Beam Light, for Established & Sons. Photograph by Philip Karlberg. Running parallel to that was a selection of one hundred objects, bought for less than five pounds and selected by Sam Hecht from his collection. Above: IF4000 range of knives, for Taylor's Eye Witness. Image courtesy of Industrial Facility. Listen to our previous podcast interview with Industrial Facility here. Above: Little Disc Hard Drives, for LaCie. Image courtesy of Industrial Facility. Industrial Facility is a London-based design office formed by designer Sam Hecht and architect Kim Colin. With designer Ippei Matsumoto, it has established itself as a significant design office of mass-produced goods. 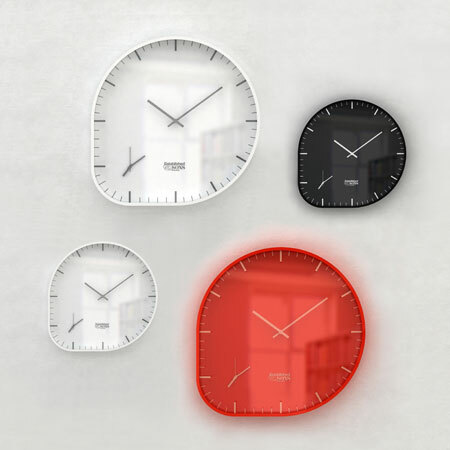 Above: Circumference Watch, for Muji. Image courtesy of Industrial Facility. Industrial Facility takes pleasure in the anonymity of everyday items and applies intellectual rigour, high design values and vision to the most mundane of products such as coffee makers, stationary and kitchen utensils. Above: Lite Plug, for IDEA Japan. Image courtesy of Industrial Facility. Above: Picture Mate Printer, for Epson. Image courtesy of Epson Japan.This exhibition is an opportunity to see some of Industrial Facility’s recent and current projects, and aims to reveal the design motives and functional workings of the practice. Although based in London, they have designed almost entirely for foreign markets, with little of their projects being seen or consumed in the UK. Above: Toilet Brush, for Muji. Image courtesy of Industrial Facility. Recent commissions include work for Herman Miller, Established & Sons, and Yamaha. As Creative Advisors to Muji, the practice has designed over 50 items for the Japanese retailer, ranging from furniture to apparel to electronics to food, creating inspiring solutions to everyday commodities. Several of the newest projects will be on view in the exhibition. Running in parallel to the exhibition is a selection of almost one hundred items Sam Hecht has amassed over the last fifteen years that cost ‘Under a Fiver’. Drawn from all over the world, the items display everything from astonishing kitsch to the purity of functionalism. Above: Industrial Facility - Some Recent Projects. Photograph by Luke Hayes. Each object tells a story about contemporary culture, about the nature of manufacture and marketing, and about the way we see and use things. Its role in Industrial Facility’s office is to inform the work and to allow an acute understanding of local rather than global consumption. Above: Under a Fiver exhibition. Photograph by Luke Hayes. These items are not mere souvenirs, there are no famous names behind them, no manuals required to operate them and their cost is of no relevance to their function.